An aspiring licensed practical nurse (LPN) must be confident in the medical environment, passionate about caring for patients, and able to operate independently and effectively. LPNs administer medications, measure blood pressure and other vitals, and provide direct care to patients. To master these skills, Oregon’s LPNs must complete an education and training program at one of the state’s nursing schools. The certificate in licensed practical nursing is available at a dozen community colleges across Oregon, including Lane Community College in Eugene and Chemeketa Community College in Salem. A handful of private schools, like Concorde Career College in Portland and Institute of Technology in Salem, also offer an LPN certificate. The program provides training in physiology, anatomy, medication, and patient care, and it equips graduates to be leaders in the nursing field. Students complete a typical LPN program in 12 to 18 months. They must then pass the NCLEX-PN national licensure exam to practice in Oregon. LPNs are highly valued by hospitals and clinics throughout Oregon. 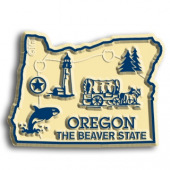 The median annual salary for an Oregon-based LPN is $48,100. Top performers earn $55,000 or more per year. With only 2,820 LPNs in Oregon, candidates are assured that demand will outstrip supply in the state’s hospitals and medical facilities. Major employers of practical nurses include Oregon Health and Science University Hospital, Providence Portland Medical Center, and Providence St. Vincent Medical Center. Start your LPN career today. Take a look at our detailed list below of the best licensed practical nursing programs in Oregon.